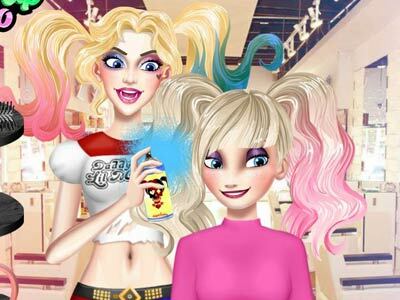 Let's give our most famous heroine of the world Wonder Woman a fashion makeover! First use the cosmetics to create a soft and feminine makeup look. Instead of her signature outfit with breastplate, armor, tiara and five star symbols, why don't you select some nice fashion items like high-waist floral skirt, black mini dress with laces, or cute denim shorts for her? Let's do a little mix & match tricks to create a fashionable look! 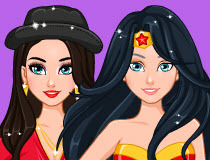 Have fun playing this Wonder Woman Fashion Makeover game!